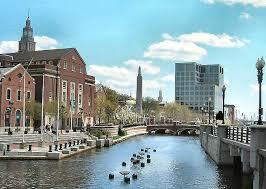 The 2010 NERCOMP Annual Conference, convening this year in Providence, RI, is now accepting presentation proposals. I am serving on the program committee this year, working on the Leadership and Organizational Development track. I’ll be doing a pre-conference workshop as well, but more on that later. The conference, which runs March 8-10, 2010, has a theme of “The Next-Generation University: Rethinking IT in Disruptive Times.” The conference will explore how our institutions and organizations are managing economic challenges, forging new visions, and integrating new information technology paradigms and approaches. How are emerging technological possibilities and economic conditions changing what “university” means? How are our IT organizations surviving and finding ways to thrive and lead the way under these new conditions? How are we evolving to meet the changing academic and administrative priorities of our institutions? What emerging technology opportunities and models are supporting the core missions of our schools and our associated organizational and professional development goals? Corporate and Campus SolutionsI hope if your institution is a NERCOMP member, you’ll think about submitting a presentation proposal.